The importance of socializing a puppy cannot be overstated. Socializing a new puppy means helping him learn how to interact with people, other dogs, cats, as well as getting used to sounds, sights, smells and environments. The world is a very big place to a tiny little puppy, so it’s all a lot to take in! It’s important for puppy owners to take an active role in socializing a new puppy to ensure not only that your puppy remains safe, but also to ensure the puppy has a healthy understanding of the world around him. How he feels as a puppy – specifically, whether he’s calm and confident, or nervous and scared, will dictate his happiness level for life. Your spending the time to help your new puppy take his place in the world will create a lifelong bond between the two of you and create a happy life for him! Why is Socializing Your Puppy Important? Socializing your new puppy will make it far more likely that he will grow into a relaxed, enjoyable dog. If he is comfortable in a wide variety of situations, he’ll be more likely to behave well and not be fearful or aggressive. It’s much easier to have a dog who is relaxed about things like other dogs, kids, vet visits, and crowds than to have a dog who is fearful of (or worse, aggressive toward) everything. Well-socialized dogs live a much more relaxed, happy, peaceful life than dogs who are always stressed out. What’s the Best Age for Socializing a New Puppy? Most people don’t get a puppy until he’s at least six weeks old, unless you happen to be the owner of the mother as well. Regardless, puppies are most open to new experiences between 3 and 12 weeks old. After about 12 weeks, they tend to become more cautious about new things. After about 18 weeks, it becomes very difficult for them to be comfortable with new things. So the sooner you start, the better! What’s Involved in Puppy Socialization? Socializing a new puppy requires exposure to places, experiences, sounds, people, dogs, cats, children…Basically, the puppy needs to be exposed to anything that’s going to become a part of his daily life. Depending on your lifestyle, things your puppy needs to get used to might include children playing, crowds, cats, other dogs, a crying baby, grooming, vet visits, car rides. Consider your own surroundings to create a list of things your puppy will need to get used to. It’s impossible to expose your puppy to absolutely everything he’ll ever come into contact with in his life, but the more basics you cover early on, the easier time he’ll have later getting comfortable with new things. The most important thing about socializing a new puppy is making sure that the situation is never overwhelming for him. You’ll need to take ques from your puppy to figure out what he’s comfortable with, and what he’s frightened by. Some puppies, for example, are fine walking into a huge crowd of new people, but other puppies might need to be introduced to smaller groups, or just one or two new people at a time. Whatever you’re exposing your new puppy to, the trick is to keep a close eye on him and pay attention to how he’s reacting. And always follow up a new socialization experience with lots of praise and a special treat! What If My Puppy Gets Scared? If your puppy appears to be frightened by the socialization activity you’re exposing him to, the best thing to do is slow things down. For example, if your puppy gets visibly frightened upon approaching a large group of people, back off a little and let him observe the group from afar for a few minutes before approaching. If your puppy seems to be afraid of your larger, adult dog, again, let him keep his distance and observe the other dog before he has to be nose-to-nose with him. The same goes for cats, children – basically anything new. Let your puppy dictate the pace, and don’t force him to interact until he’s comfortable. A little nervous is OK, but frightened is not. First, to learn about which vaccinations your puppy needs and when he should receive them, read this article, First Time Vet Visit for Your Puppy. Puppies are not fully protected against diseases if they have not been vaccinated. Since puppy vaccinations take place over a period of time, it’s important to take steps to ensure your puppy’s safety in the interim. You can and should start socializing your puppy as early as possible – but at the same time, make sure you’re taking these steps to reduce his risk of infection. Socialize your puppy with other puppies. Take advantage of opportunities to socialize your puppy in environments like puppy classes, where the risk of infection is minimized. 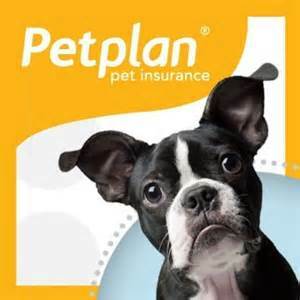 Puppy socialization classes offer safety in that the puppies are required to have certain vaccinations before entering. Also, older dogs who could’ve been exposed to certain diseases are not present. Don’t visit a dog park just yet. 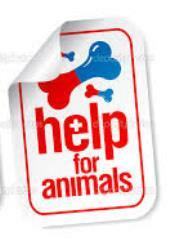 Hold off visiting a dog part until your puppy has received all of his vaccinations. There’s no way to know whether the other dogs at the park are vaccinated or carrying disease. Wait until your puppy is fully protected. Stay away from high traffic areas. Avoid visiting places where infectious diseases are more likely to be present such as dog parks, doggy daycare, common dog walking paths, outdoor festivals, and beaches. Carry your puppy. Hold onto your puppy while you walk around the neighborhood. This will begin to familiarize him with the sights, sounds and smells of your neighborhood. He can even get a look at some of the neighbors and their dogs before he’s later expected to interact with them. Take your puppy to friends’ homes or invite friends over. This is a safe way for your puppy to begin to get to know people without being exposed to outdoor dangers or other animals just yet. The reason why I refer to this as Puppy Preschool instead of Puppy Classes or Puppy Training, is because I believe attending a puppy class is a great resource for safe socialization for your new puppy. However, I don’t believe puppy classes provide enough in-depth training that you’ll need in order to end up with a well-behaved dog in the long run. Puppy classes will teach you and your puppy some basic obedience skills and get your puppy some experience interacting with other dogs and people. Puppy classes usually include off-leash play and play-fighting, which helps socialize puppies, teaches them to be gentle (don’t bite so hard! ), and gets them used to being handled by new people. This is an excellent tool to use early on for socialization. 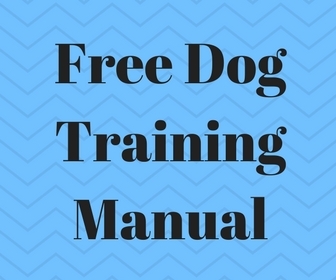 For More Training Videos by Doggy Dan, CLICK HERE. We all know Cesar Millan from the TV shows, “The Dog Whisperer,” and “Cesar 911.” I love this guy! 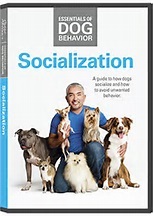 Cesar has put together a great DVD in his Essentials of Dog Behavior Series, called “Socialization,” where he shows you exactly how dogs socialize and how to avoid unwanted behavior. Check it out HERE. Also check out Cesar’s website, Cesar’s Way. You’ll love it! Socializing your puppy is essential for his development into a happy, relaxed, well-behaved dog. Your life will be so much easier in the long run if your dog is relaxed with strangers, gets along well with people, children and other dogs, and if he adapts easily to new things. Socializing your puppy gives him the best chance to grow into a dog who is comfortable in his environment and enjoys his life. I hope you enjoyed this article, and I hope you enjoy your new puppy! 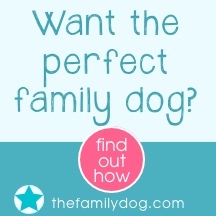 Please comment below with any questions or puppy socialization ideas of your own! 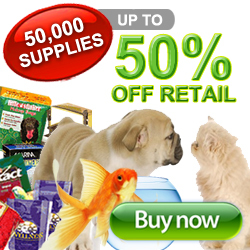 For more information about training your puppy, check out these articles! You provide some really awesome tips on socializing a new puppy. 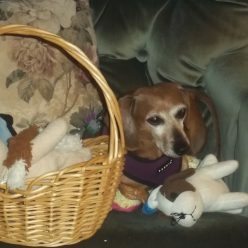 My wife and I are considering buying a new puppy in the near future and these tips will help us integrate it into our existing home where we already have 2 other dogs. Thank you so very much for all of the useful and insightful tips in this article. Your website is awesome and I wish you the best of luck!! Thank you, and good luck with your new puppy! 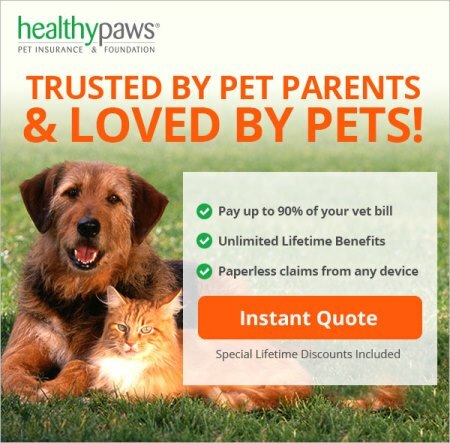 Next Next post: Healthy Paws Insurance Review – Healthy Paws Wins for 2012, 2013, 2014, 2015 and 2016!